If you've ever dealt with mold stain removal, do yourself a huge favor and read this article. PLEASE! Mold remediation contractors, like most businesses, are constantly searching for better ways to do things - striving to deliver exceptional results to their customers. The removal of mold stains in attics, crawl spaces and on structural building materials has long posed significant opportunities for contractors who manage to control the labor costs involved in these types of jobs. However, costly and labor intensive efforts like sanding, scrubbing, wiping and media blasting require human capital, exact physical wear-and-tear on workers. MMR mold stain remover is the industry's first and most-established, hypochlorite-based mold stain remover. Designed by people who do mold remediation, every day for a living - MMR mold stain remover delivers immediate and spectacular results - at a fraction of the time and cost. MMR is the industry's most rapid mold remover. MMR, the original hypochlorite solution, provides superior stain removal results to hydrogen peroxide products. Peroxides are often manufactured and sold for shelf-life reasons, rather than for their results. MMR mold stain remover is manufactured daily and shipped on demand to contractors across the country. Purchasers of MMR get product that is typically no more than four days old by the time its delivered. The MMR formulation has been used in the field for nearly 10 years. We ship same day and pride ourselves on immediate turnaround of your orders. It is ideal for quick and rapid mold removal. MMR is sold exclusively at www.FastMoldRemoval.com. Specialists on our Contractor Service Desk have real-life experience on mold remediation jobs. They are experienced and available to help you estimate the job and pass clearance tests - if required. Call 708-441-7982 to speak with one of our specialists. MMR mold stain remover has quickly become the industry's "go-to-product" for mold stain removal. It is a commercial-grade, hypochlorite-based mold stain remover formulated to immediately remove mold stains present on wood, concrete, cinder block, hardiboard, vinyl siding, composite decking and other porous and semi-porous surfaces. By combining a higher concentration of sodium hypochlorite, with a surfactant package, MMR provides a super-strong bleaching of the black enzymatic stain that appears on the surface of a building material. The surfactant delivers the hypochlorite into the porous nature of the building material. Due to that chemical combination, MMR is very destructive to the mold's hyphae and mycelium that grow into the porous building material. It is ideal for unconditioned areas like attics and crawl spaces. MMR can also be used to pass clearance tests when incorporated with source-removal activities like HEPA vacuuming or wet wiping with products like Shockwave or HydroKlenz. MMR treats between 175-250 square feet per gallon when sprayed according to specifications. It is only available at www.FastMoldRemoval.com or by calling 708-441-7982. MMR is priced at $29.99 a ready-to-use gallon. No mixing or additives are required. MMR is the most potent mold stain remover on the market. MMR removes mold stains instantly. MMR saves in time and labor. MMR is ideal for unconditioned areas like attics and crawl spaces. MMR is inexpensive at $34.99 a ready-to-use gallon (free shipping 4 gallons or more). MMR is available in 1 gallon, 2.5 gallon and 5 gallon containers. MMR is manufactured and shipped daily to ensure best results. 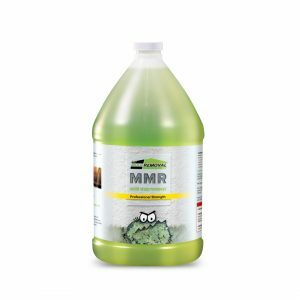 MMR is available at a 10% discount on orders of 50 gallons and over. MMR does not require mixing or additives. MMR can now be shipped to Canada. MMR can be seen on video at www.FastMoldRemoval.com. Mold Solutions, owner of FastMoldRemoval.com, is a Frankfort, IL, based company. We have manufactured and distributed mold remediation products for eight years. We have provided mold remediation services in two national markets for seven years. We are expert at delivering rapid mold stain remover results. 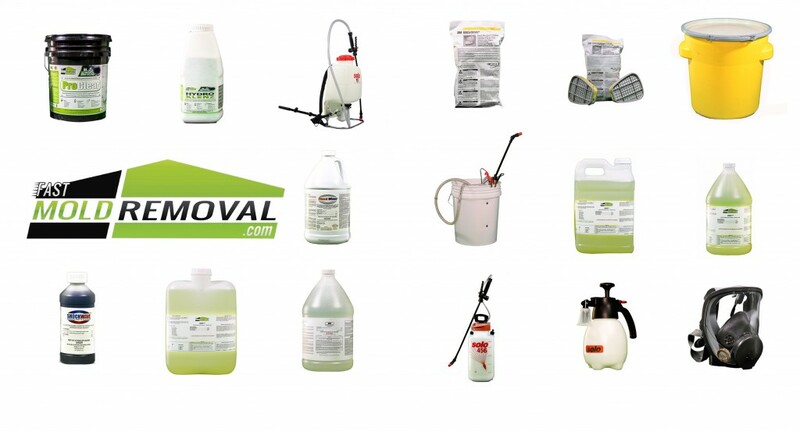 MMR mold stain remover, Shockwave, MPI antimicrobial, HydroKlenz and ProClear are just a few of the tools used by mold remediation professionals that are accessible at FastMoldRemoval.com. To learn more please visit www.FastMoldRemoval.com, email mmr@moldsolutionsintl.com or call 708-441-7982.